Bee Line Digital Phone gives you unlimited toll-free calling. Now you can have the clear signal of a digital telephone connection, billed monthly on a single statement with your other Bee Line Cable services. Call Waiting - is included, so you are alerted when another call comes in, and can put the first call on hold to answer the next one. Caller ID - Also included is Caller ID, which identifies the number of an incoming call on properly equipped telephones or other display devices. E911 - Digital Phone supports E911 service, which on an emergency call displays your location for prompt response of police, fire or rescue personnel. Additional Features - You can also add Voice Mail, Caller ID with Name, Call Forwarding and Three Way Calling, billed individually or available as a bundled group, for additional savings. * Calls to international locations are available for an extra charge. 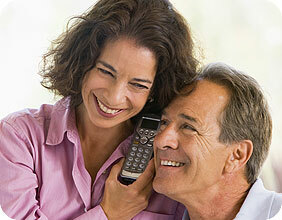 Learn more about our Digital Phone packages!